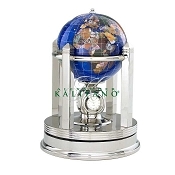 Rotating Clock Gemstone Globes are amongst the most exquisite and sought after luxury decorative table globes. Their stunning looks rest on the finest desks around the world. 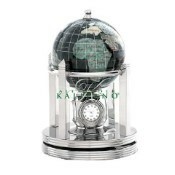 Each one unique, the Alexander Kalifano rotating clock globe is handmade by skilled artisans and requires hundreds of hours to produce. 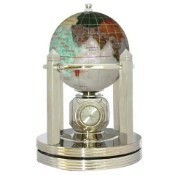 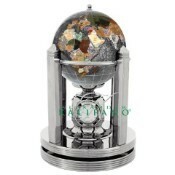 Buy an exquisite rotating clock gemstone globe from a variety of colors and a choice of gold or silver table stand.